As I have thoroughly studied African American history, I find that one of the most important concepts America’s Founding Fathers treasured that is central to the continued progression of Black people is limited government. Limited government was one of the founding principles of our representative democracy and this concept is deeply woven in the fabric of America. At the core of the Constitution is the fundamental principle of limited government. 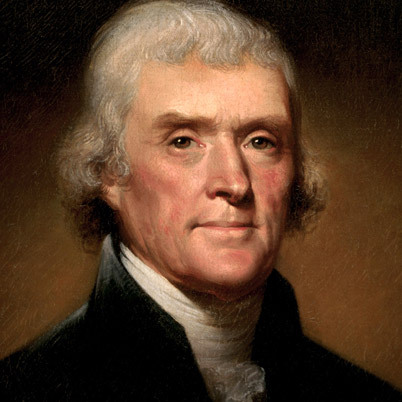 In reference to the notion of limited government, Thomas Jefferson said, “That government is best which governs least, because its people discipline themselves. If we are directed from Washington (heads of an organization) when to sow and when to reap, we will soon want for bread.” When one support the concept of limited government, this does not mean he or she does not believe government does not have a vital role in the lives of Americans. As Jefferson alludes to in the aforementioned quotation, a government that only surfaces when it’s needed is the best form of government. When one considers the ingrained history of racial prejudice and discrimination Black people have experienced and the brutality atrocities Black bodies have endured at the hands of a too powerful American government, Black people should passionate supporters of limited government. A too powerful American government had Dr. Martin Luther King, Jr. and Malcolm X under constant surveillance—knowing every move these two men made. Black people, therefore, must be mindful of how dangerous it is for government to have too large of a role in our lives. Unfortunately, too many Blacks have embraced a big government philosophy. While there’s certainly nothing wrong with expecting some things from government, we cannot become too dependent on it. When we become too dependent on government, this is when government capitalizes on this dependency and intrudes into every aspect of our lives possible. Even though looking to government to help solve most problems might be alluring, this leads to government trampling on our individual liberties in the most egregious ways. When we become too dependent on government, it feels that we owe it something: the right to reduce our personal liberties. If any group in America has a sincere reason to be highly skeptical of governmental power, it’s African Americans. Malcolm X was tremendously apprehensive about Black people looking to government for economic and political support. In examining “The Ballot or the Bullet,” I disclosed how Malcolm X zealously advocated for Black people to seek economic self-sufficiency through racial solidarity—not through a reliance on government. “The Ballot of the Bullet” can be read as a warning of the dangers of big government and how vital limited government is. In a recent event hosted by Tavis Smiley, Dr. Cornel West, a prominent liberal/progressive scholar, professor, public intellectual, and racial, social, and economic justice activist, promulgated to former Speaker of U.S. House of Representatives Newt Gingrich, a leading conservative Republican, that he agrees with him and other conservatives in part about the advantages of limited government—noting how a too powerful American government in the past resulted in slavery and Jim Crow, causing Blacks to be victimized by governmental terrorism. Government can play an essential role in aiding in engendering a milieu where individuals can thrive with little to no support from government. For those who are poor in America, government should provide them with food stamps, childcare assistance, and etc. Government should work to assist those individuals in finding gainful employment in the private sector to free them from governmental dependency. Support of limited government does not have to be a partisan issue. If people give the concept of limited government a fair assessment, they will see how it’s the proper role of government, and this role of government ensures that Americans will enjoy maximum individual liberties. In my opinion, this is a well written article. But…the paper focuses on the importance of a limited government concerning race (African Americans). Not denying or putting down the facts of this article, I expected information on the Importance of a Limited Government, concerning American people overall. Thank you for your kind words about how the piece is written. From the very first line, the article identifies for the reader the central thesis/purpose that it will center on: the relationship between African-Americans and limited government. This level of specificity makes a contribution to many readers. Many books (including textbooks), articles, and etc. have been written that identify and discuss thoroughly the concept of limited government in the American context. Limited scholarship, however, has been devoted to the specific relationship between blacks and limited government, which is one of the core reasons why I composed the article. Given blacks’ distinctive history in America, the concept of limited government in connection with them is warranted. You will widely find numerous sources on the web and in bookstores that will offer you the traditional information on limited government you desire. Thanks for reading and I wish you well in your future reading and research.